TheVoiceLibrary.net is holding their first Rally Ride on Sunday, October 14, 2018 to raise funds to support The Military & First Responders Family Story Project. 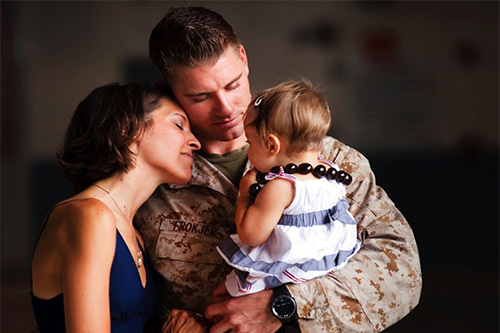 TVL has given a total of 742 gift subscriptions to military families through 9 military based family organizations and non-profits. Directly touched 742 military families (Est. 2,732 extended families) were able to share life stories, legacies and special moments via the epic power of voice regardless of the physical distance between them. We need your help! — Striving to gift up to 100 digital storytelling subscriptions in late 2018 holiday season. The Rally Ride Fundraiser will be held at Kingston Veterans Club on Sunday, October 14, 2018. Festivities will start at 9:30 am with a car show followed by a one hour rally ride at 10am. The ride will return to the Kingston Veterans Club for a cookout. Participant fee is $25 with $10 per additional rider. Sign up online at Annie’s Angles Memorial fund, the Fiscal sponsor for event. Riders who sign up before October 1 will receive a $100 gift certificate to Fit Body Transformation. Space for this ride is limited to register today at Anniesangels.org/events/rally-ride. Learn more online about how you can help the Military & First Responders Family Story Project or by contacting TVL founder Al Brandano at alb@thevoicelibrary.net or call 603-583-4880.